Now in its fourth iteration, the Sonus faber Guarneri is still a standout performer. How the engineers at SF manage to put so much of the sound of their larger speakers in such a small cabinet always baffles me, but they do a fantastic job. Having spent a fair amount of time with everything from the Sonus faber flagship Aida down the range to the Olympica and Venere speakers, this small, high-performance monitor was a personal favorite. I came that close to buying the last version of this speaker, the Guarneri Evolution. If I ran things, after spending time with both speakers, I’d rename the last model the Tradition and this one the Evolution, but that’s neither here nor there. I usually jump right into a review with a favorite track that draws me in to a product, but the Guarneri begs a bit of backstory. The original SF speakers under founder Franco Serblin were famous for their warm, lush midrange, and soundstaging that was almost beyond belief for such a small speaker – yet they required a ton of power to drive and were notoriously tough to set up. 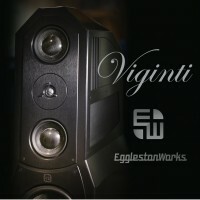 However, when it was right, it was really right and if you’ve ever experienced a pair of early Guarneris in a well optimized system, you know the sheer magic these speakers are capable of creating. Sonus faber has always felt the lute shape of their speakers works with the sound of the drivers, tuning the end result like an instrument and making the cabinet part of the sound. 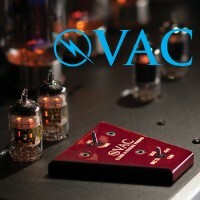 Other manufacturers like Wilson, YG, and Magico feel that every molecule of the cabinet needs to be damped out and removed from the picture, so only the sound of the drivers and crossover comes through. 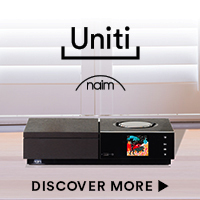 I’ve never found a YG fan to be a SF fan, so you will have to experience it for yourself – my guess is that during your first Sonus faber audition, you will fall madly in love with them or you will move on. The endless romantic, I’ve always had a love for Sonus faber speakers – bias admitted. Sonus faber sound aside, their cabinetry and finish is fine art of the highest order. The multi layered lacquer finish is perfect; having more depth, greater smoothness, and higher luster than anything you will ever experience on the world’s finest automobile. For those of you that have had a child in your life, remember how smooth your son or daughter’s skin was immediately after they were born? That is how smooth the finish of the Guarneri Tradition (actually, all SF speakers) is. The first big difference is that the new Guarneri tips the scale at just under $16,000 a pair, complete with stainless and carbon fiber stands just as beautiful as the speakers. In nearly 30 years of auditioning Sonus faber speakers, there has never been a non-audiophile in my home or studio that can resist their charm. 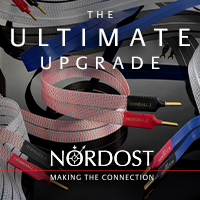 My friend’s wives nearly always make the exact same comment: “You can put a pair of those in our living room.” The $16k/pair a comment is interesting because the outgoing Evolution model was about $22k/pair, so the current Sonus faber organization as part of the McIntosh Group has been able to take advantage of the corporate structure to hold costs in line for all brands. This is a bonus for everyone. While the current Guarneri still benefits from more power, it is not as power hungry as past models. 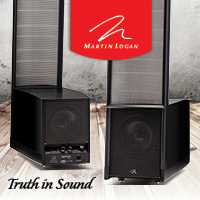 Quality is the key here, especially to wringing the last bit of bass performance out of these speakers. 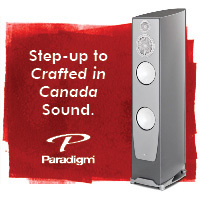 Pair them with a budget integrated and you’ll never hear what these speakers are capable of. 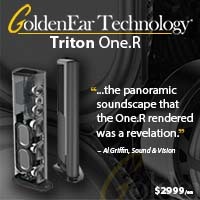 This is not a speaker to build a system around if you have to scrimp on until you can afford a great amplifier. 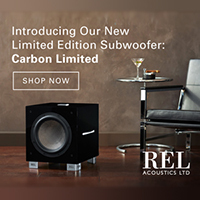 Finally, the newer look of the Tradition model is more embellished, shall we say than the Evolution model it replaces, with more defined horizontal stripes in the curved cabinet (much like the very early Sonus faber speakers) and brushed trim rings around the drivers. There is also a sizeable Sonus faber logo on the top of the cabinet. I prefer the old cabinet aesthetic, but I’m the guy that brings a new BMW home from the dealer and removes all of the badges. Truth be told, I miss the curvier shape of Ferraris and Ducatis past. What track to play on a new pair of Sonus faber speakers is always an engaging proposition, but the go to track after a few days of warm up just had to be Prince’s “International Lover,” from the 1999 album got the nod. Though there isn’t a molecule of acoustic instruments present on the track, it’s a relatively dense track with a lot of hidden treasure. 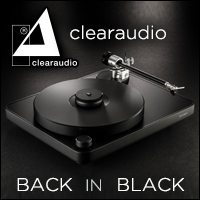 Speakers with limited resolution portray a flat experience, yet speakers offering a lot of resolution bring this track to life, revealing layer upon layer of vocal overdubs, synthesizers, and a wide soundstage. And there’s that major scream at the end – if your system can’t deliver the goods, this will fall horribly flat. The Guarneris sail right through this torture test, thanks to the boundless power reserve of the Pass XS300 monos, producing the usual SF magic here and on every other track in multiple listening sessions. The Evolutions turned in an equally engaging performance in my main listening room with a similar setup about two years ago. While the Guarneris can carry a big room, I love them in a modest size room. This will provide a more coherent three dimensional musical picture and offer a bit more room gain, enhancing the LF response nicely. 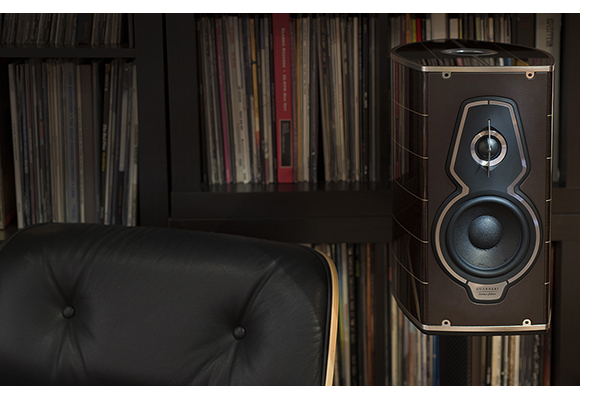 Sonus faber speakers have been undergoing a slight metamorphosis over the last two generations. 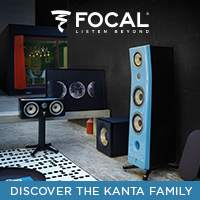 Keeping the tonal saturation that has made them famous, the current speakers offer more extension at the frequency extremes, with the ability to resolve more low-level detail as well. Impressive. Placed in room 2 (13 x 15 feet) the Guarneris produce the best balance of LF extension and big soundstage. Slightly more mid bass warmth is available on the short wall, but at the sacrifice of maximum image depth. You know what you like better, so proceed accordingly. I’m the panel guy that loves an immersive soundfield. The tweeter level is a bit high, just over 40 inches, but the finely threaded spikes on the stands will help you nail perfect placement. 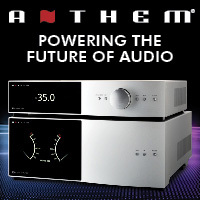 As Sonus faber is part of the Mcintosh group now, the chances of you hearing them at your favorite dealer with McIntosh or Audio Research electronics is really high, so after verifying that they work well with a number of other choices from Pass, PrimaLuna, Esoteric and Conrad Johnson, the majority of our listening was done with ARC and Mac. Why not? We lined up current and vintage of both. The ARC REF 75SE is here for review, as is the McIntosh MAC7200 receiver. On the vintage side, a freshly rebuilt ARC D-79 and older generation MC275 make for a nice compare and contrast. All configurations were interesting. Once you’ve achieved the perfect room balance, sit back and relax like the cool guy in the Sonus faber ad, you’ve earned it. The opening keyboard riff in the Afghan Whigs “The Spell” cuts through the mix, pushed right in front of my face, keeping perfect pace as Greg Dulli’s gravely voice folds in, slightly left of center, with layers of violins way beyond the speaker boundaries. 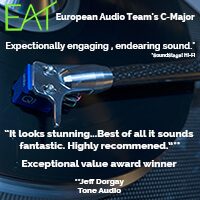 This is what high-end sound is all about. Of course the critical midband is glorious – this is Sonus faber after all. 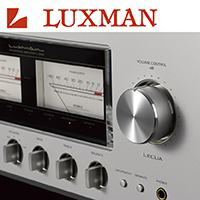 Thanks to the slim front panel profile of the Guarneris, they offer a level of coherence not unlike a panel speaker and are the essence of what audiophiles call “pin-point imaging.” Real or not, it sure is fun. No matter what kind of music you enjoy, the Guarneris will keep you engaged. The balance of Elise LeGrows sultry voice and piano in her recent Playing Chess is particularly engaging. 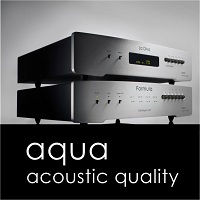 And acoustic instruments are reproduced with that little extra something that has been a Sonus faber trademark. Hundreds of listening hours later, this is a Guarneri through and through. 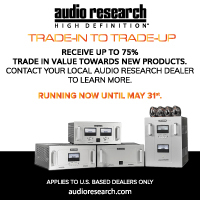 While the old timers in the audience will lament that they like the older ones better (much like Porsche guys complaining that the new water-cooled models are nowhere near as good as the old air-cooled models) this is a fantastic pair of speakers that is priced right. What’s not to love? They look beautiful, sound beautiful and have a lower price tag than the last model. That’s never gonna happen at the Apple store or the Ducati dealer. But as I said at the beginning, being that this model has a bit more modern sound, if you will, than the last Guarneri, I guess I would have called this one the Evolution and the last one Tradition. What’s in a name anyway?